The following steps will walk you through using SparkPost with e3 Software’s DirectMail for Mac. 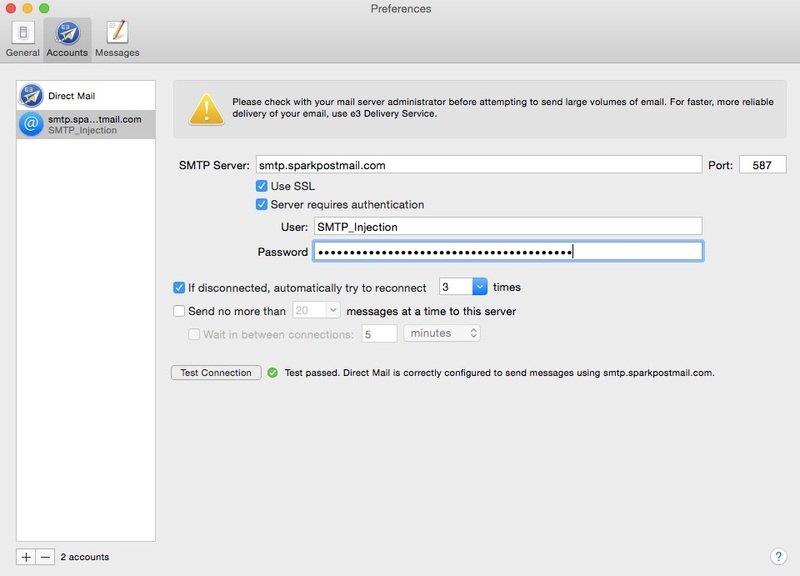 The password is a valid API key you have generated from your SparkPost account with the ‘Send via SMTP’ permission enabled. Note that your From address much be from a domain that you have configured and verified on your SparkPost account (such as ‘[email protected]’, etc. ).